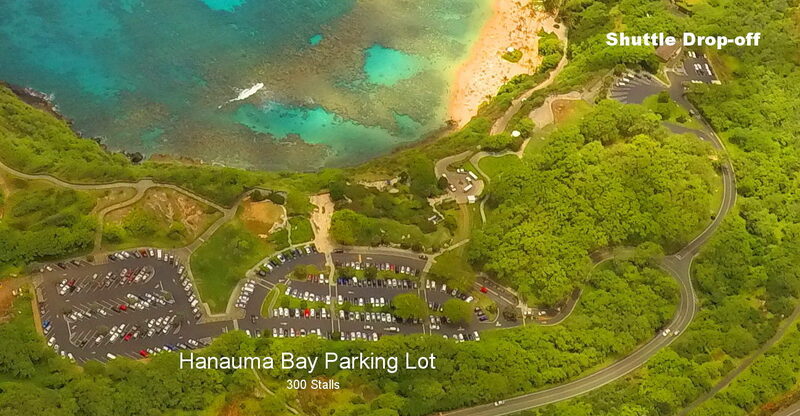 The parking lot at Hanauma Bay is relatively small and fills up daily. Depending on the season and weather conditions, the parking lot fills up around 7:00 am. When filled to capacity the security guards at the top of the hill are notified and no other public vehicles are allowed to enter. Hanauma Bay has between 2000 – 3000 visitors daily. Plan ahead to avoid disappointment. The best way of getting into the park is to reserve our Waikiki Shuttles which run daily. Try our NEW North Shore and Hanauma Bay tour – 2 tours all in 1 day. Remember to book as early as possible to reserve your preferred time slot.